Pave the Way Foundation has partnered with the Center for Jewish-Christian Understanding & Cooperation in order to respond to the recent disproportionate funding of Christian schools recently declared by the Israel ministry of Education. Mindful, that only in Israel are Christians fully protected and free tro practice their faith in the Middle East, this problem will only become more acute. Since the beginning of September 2015, Christian schools have been on strike protesting the severe budget cuts by Ministry of Education. Prior 2008, Christian schools were receiving 75% of state funding, and now, only 29%. The Center for Jewish-Christian Understanding and Cooperation (CJCUC) and the Galilee Center for Studies in Jewish-Christian Relations (CSJCR) at Yezreel Valley College in cooperation with Pave the Way Foundation believe it is time for both Jews and Christian around the world to join forces and advocate for 100% funding for Christian schools in Israel. We have created a campaign letter (efcs.cjcuc.com) asking both Prime Minister Benjamin Netanyahu and Minister of Education Naftali Bennett to find a quick and just solution to the budget crisis of Christian school education. Once you fill out the details and press submit, the letter will be emailed to both the Prime Minister and the Minister of Education. I kindly ask you to promote this email to your networks of influence. Next month, the official celebrations for the 50th anniversary of Nostra Aetate will be occurring around the world. 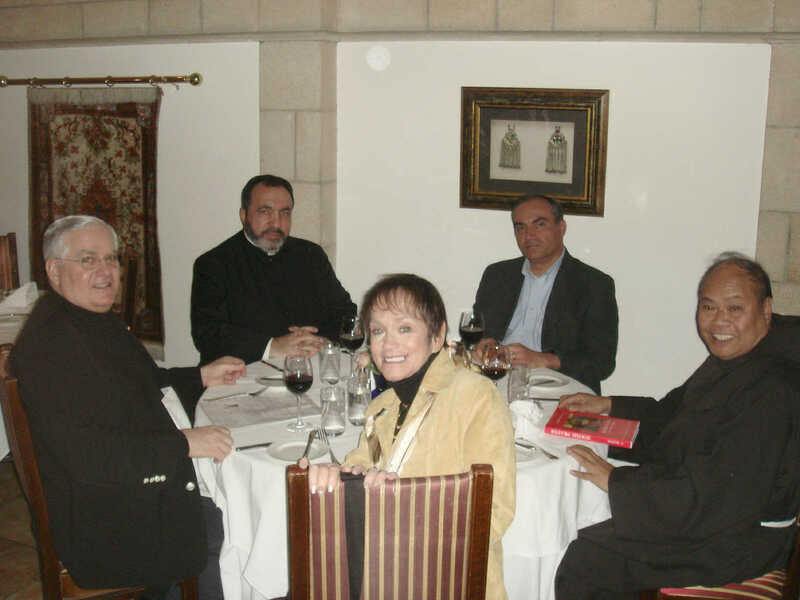 Part of the festivities will be honoring the unprecedented dialogue between Jews and Christians in the last half century, which has created long lasting friendships and brought millions of Christian visitors to Israel. Particularly at this time, it is important that both Jews and Christians around the world make this issue of funding Christian education in Israel as a number one priority. Improving tourism in Israel and the Holy Land. Continuous violence and conflict has had an enormous adverse financial impact on the regional tourism industry. Both sides of the conflict suffer profound loss, not just in terms of life and human dignity, but in terms of economic and financial losses as well. During the intifada Israeli unemployment recently hit 11% and the rate in the territories has been as high as 30-60 %. Everyone is suffering. Pave the Way is trying to change the course of this negative effect, by encouraging special visits to the Holy Land, by Christian leaders. Some of these prelates have been charged with the pastoral care and diocesan responsibility of millions of the faithful Christians. It is our beliefs that as economies improve the seeds of violence and radicalism will fail to take root. Pave the Way is working with the Israeli Ministry of Tourism to encourage these most important pilgrimages. Partnering with Israeli government officials, Pave the Way has been successful in facilitating the removal of several protocol and procedural barriers that have long been problematic to the already decimated tourism industry. Above, Pave the Way meets with Senior Deputy of the minister of Tourism to plan projects to increase and maintain tourists from Christian communities. Above meeting with the Armenian Archbishop Nourhan to discuss Armenian pilgrimages. We have worked to encourage Catholic and other Christian pilgrims to come to Israel. Planning projects to benefit the tourism industry of Israel with Raphael Ben-Hur First Deputy General Minister of tourism in Israel.. The ministry of tourism is trying to encourage Christian tourist to stay longer in the Holy sites in Bethlehem, in order to help the local Palestinian population. This is an on going effort of both the Israeli and Palestinian ministries of tourism. More tourism means less violence. 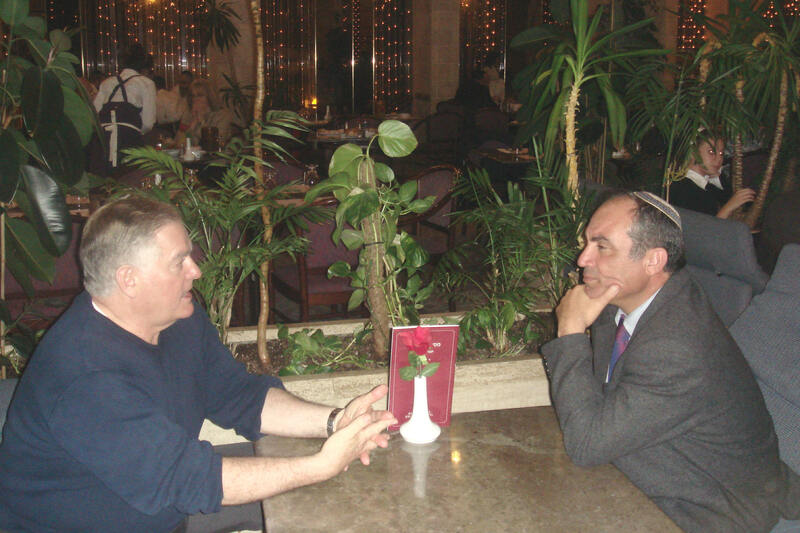 May 2007, PTWF was asked to help the security personnel at Ben Gurion airport and to prepared a manual of information on addressing and dealing with religious leaders of every faith. The manual was prepared and the airport personnel were very grateful for this information.